Screening Compounds for cherry picking. 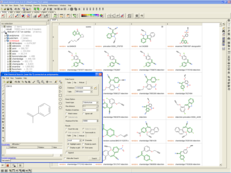 The Molcart Compounds can be uploaded to a relational database using MolCart and can be further enhanced and annotated with the Molsoft ICM Chemistry tools. 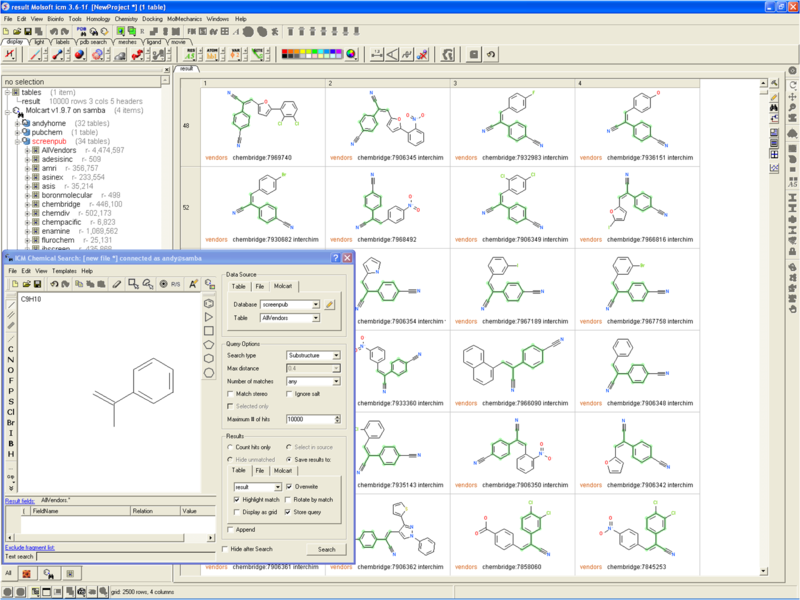 The databases can also be indexed and screened using ICM-VLS docking tools. It is important to update the files on a regular basis because up to 20-30% of individual collections may become obsolete or be replaced each quarter. The Molcart Compound Database collection is updated quaterly. Vendor compound collections can be downloaded from ftp.molsoft.com/molcartdb. molcart_database_name is the name of an existing database. You can browse, create and delete databases in the ICM workspace after you connected to the MolCart server.